There are so many distractions in today’s world. Of course, I know I’m preaching to the choir when I say that we all need to slow down and take stock of what’s really important. And while it’s one thing to know that changes need to be made, it’s quite another to take the actions needed to make those changes. For most of us, it’s not really laziness or being unconcerned. More often than not, it’s that we just don’t know where to start. 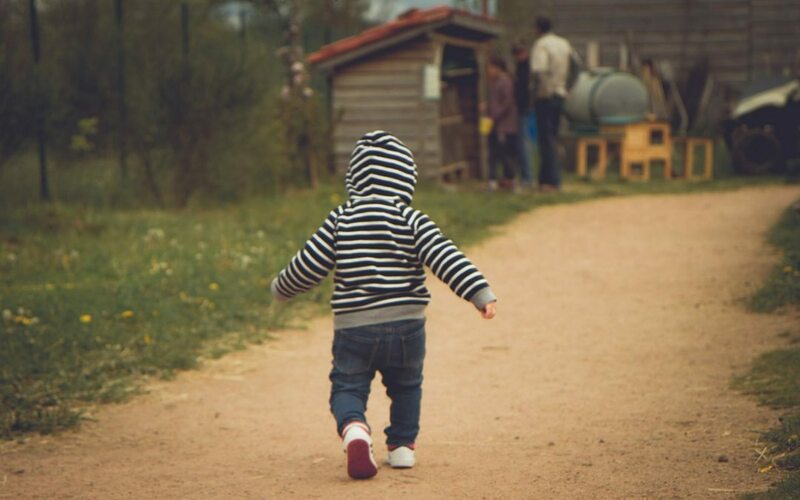 Meaningful, lasting change happens in steps, so how do you know what first steps you should take? The Back to Basics Living Bundle was created to help you find out which steps you should take first to reduce stress, save money, live healthier, and be prepared for whatever comes your way. This bundle includes 50+ resources to help you get back to basics and reduce your dependence upon modern grid systems…one step at a time. Plus, live a more frugal life, do more things yourself, manage a small homestead, and much, much more! We love soaked, sprouted, and soured recipes today, and it’s easy to understand why. Making sourdough—bread that relies on natural fermentation processes for leavening and flavor—is a wonderful way to make healthy, great-tasting food for your family. 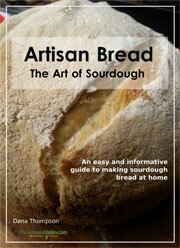 This beautifully presented 45-page eBook will show you how easy it is to create stunning artisan sourdough loaves. From creating your own sourdough starter from scratch, baking amazing loaves, troubleshooting, and even using delicious recipes for other sourdough items, it is all here. There is a page of tips and tricks for getting the perfect loaf, and it explains just how to maintain and preserve your sourdough starter, so you will always have some ready to use. While reducing your dependence on modern systems, you usually focus on the obvious things first, things like growing and preserving food. But it doesn’t stop there! 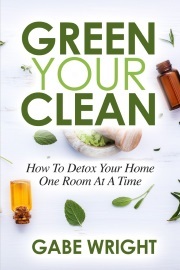 There are hundreds—if not thousands—of unique ways you can reduce your dependence on the system! For example, have you been wanting to learn how to make soap? Is the hot process method something you have been considering, but have been afraid to try? In Hot Process Soap Making, Heidi shares her best no-fail soap recipe, all the details you’ll need to make fabulous hot process soap, as well as over 21 soap recipe variations. She also includes lists of essential oils, herbs, and other natural additives, so you can customize your own soap with confidence! 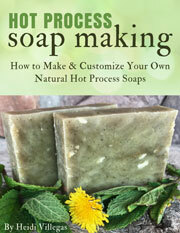 If you’ve ever wanted to try making hot process soap, this no-nonsense book will get you started with speed and confidence. Food preservation isn’t easy, especially if you’ve never done it before. Freezing, canning, and dehydrating all have unique needs and considerations, but they yield delicious products and provide strength and resilience for your household. Well, what if you had something to help you get started? Shopping can get very expensive, very fast. It isn’t hard to build up a $100 bill in one shopping spree, especially if you’re looking for things that will fit your homestead. I have an idea—why not try saving that money by making it yourself? 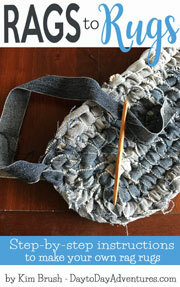 Rags to Rugs is a 39-page eBook with step-by-step instructions to help you make your own beautiful, handmade rag rugs. It includes color photos to show each step of the process, directions for calculating how big to make your center/base in order to achieve the size rug you desire, and written instructions for creating stitches, increasing size, decreasing size, and finishing an oval rag rug. Plus, it also provides step-by-step instructions on choosing fabric, ripping strips, getting started, and finding time to make your rugs! While gardening is a favorite pastime, many of us still don’t know a thing about growing plants. Even growing a tomato plant seems overwhelming, especially when you research all the money, time, and knowledge requirements for growing food yourself. 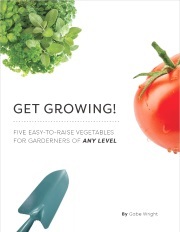 If you’re looking to start a garden, but not sure where to begin, this book gives you five of the easiest, any-brown-thumb-can-grow-them vegetables, and tells you what to do to keep them alive and happy in a simple and straight-to-the-point manner. Learn from Gabe’s mistakes, don’t waste time and money on things that don’t work, and grow a great garden without all of the chemicals! If you ask veteran homesteaders about their first animals, many will mention chickens. And if you start studying these versatile birds, you’ll quickly understand why. They produce meat. They produce eggs. They don’t take a ton of space and labor. Plus, they’re adorable to watch. What’s not to like? 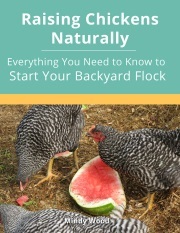 Raising Chickens Naturally: Everything You Need to Know to Start Your Own Backyard Flock is just what it sounds like: It’s everything you need to know to get started! 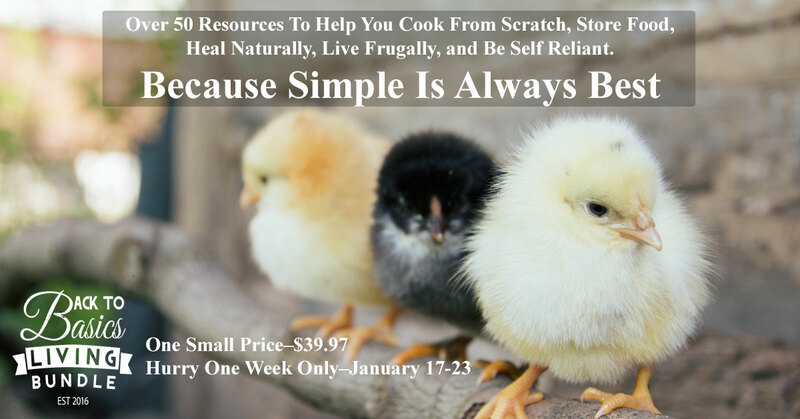 Chickens are many folks’ gateway animal into the wild world of homesteading, and this book will help you get started right away with a solid foundation of knowledge. It’s packed with practical information on beginning a backyard or small farm flock and raising them as naturally as possible. The homeschooling life is a different life, especially if you weren’t homeschooled yourself. Suddenly, normal teaching conventions don’t always apply…and you don’t have a mentor to turn to for answers. The decisions that need to be made before you can actually start homeschooling can be overwhelming, but Michelle Curren homeschooled her children for fourteen years and also helped many other families get started. Drawing from all of that experience, she wrote this step-by-step guide for you. She wants you to feel like you have someone sitting right there with you, leading you through the steps to set up your homeschool. 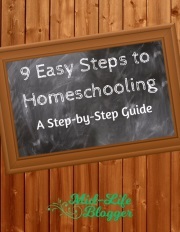 9 Easy Steps to Homeschooling will help you trade stress for success. Do you want to study natural remedies for your family? If so, you’re not alone. Hundreds of people around the country are returning to the old paths by using herbs, essential oils, and more. 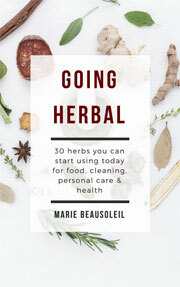 Going Herbal carries on the tradition of Marie’s popular cookbook, pulling away the confusion and putting “from scratch” into simple language and easy instructions. Dive into a short history of herbal remedies in North America, learn how to purchase the best-quality herbs and herbal products, or (with Marie standing right by you) discover how easy it is to make teas and personal care items from thirty common and useful herbs. Going Herbal covers 30 common herbs from Aloe Vera to Yarrow. Things happen, and they often happen when you aren’t prepared. Family emergencies. Natural disasters. Terrorist attacks. They usually happen without warning. That’s another reason why you should increase your self-sufficiency and become more prepared. 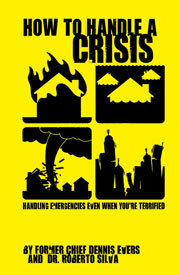 This book was created for individuals that lack emergency training, yet wish to be prepared to properly react to any event when help may not be immediately available. Loaded with protocols for dealing with natural and man-made disasters—terrorism, nuclear, biological, chemical, and medical emergencies, bomb threats, active shooter situations, crime, sheltering in place, emergency food and water, as well as preparing for a disaster. An extensive first-aid chapter has protocols for all the common medical emergencies such as fractures, heart attacks, bites, amputations, and poisonings, but it also covers emergencies such as blast injuries, childbirth, influenza, and much more. That’s a question we don’t ask often enough, especially when it comes to our favorite household products. Most of us assume that our household products are safe, but tragically, many of these products include some very toxic ingredients in their formulas. From the moment you wake up until the time your head hits the pillow, you’re inundated with chemicals from the products that you use. Some of them are benign, but some of them can cause serious problems. This book will show you how easy (and cheap!) it can be to replace some of the worst offenders with simple homemade products, taking a room-by-room approach and using ingredients that you probably already own. Who says this bundle is restricted to just electronic books and courses? The Back to Basics Living Bundle also includes some great bonus offers! You could get a FREE Au Chocolat lotion bar + Au Chocolat lip balm! (It retails $13.70; you just pay shipping)! 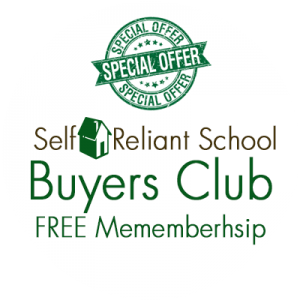 Plus, you could get fantastic deals on heirloom seeds from Seeds for Generations and training materials or the film from Beyond Off Grid, because both companies are included in the Self-Reliant School Buyers Club. 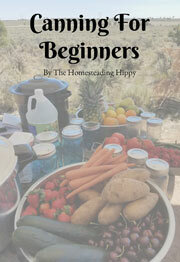 If you buy the Back to Basics Living Bundle, you get a 1-Year Buyers Club Membership free! The value of the resources in the bundle is $500+, but you get everything at a 92% discount! If you’ve been trying to make these kinds of changes, but keep getting stuck, or end up frustrated because you’ve lost the motivation, the Back to Basics Living Bundle can be your guide. But it only takes one book—one connection—for you to start implementing real change. And, the getting-started guide will help you figure out the resources that are relevant to you right this minute. This bundle is the easiest and best way to set yourself up for success in 2018. Get the Back to Basics Living Bundle now!